Danielle Polanco is known to be one of the most versatile performers of her time. Born and raised in the Bronx, New York of Puerto Rican and Dominican descent, dance was an integral part of her life. She recently was nominated for a 2012 MTV Video Music Award for Best Choreography. Her development in dance began at the age of 4 and continues to this day. While receiving the disciplined art form of Ballet, Modern and Jazz at Middle School 180 in the Bronx, Danielle acquired dance training at Kips Bay Boys & Girls Club in Salsa, Hip Hop, Jazz, Cha Cha, West African and Samba becoming an elite member of KCompany and coming to the realization the drive and passion she possessed to learn the true essence of all styles. Yearning for more intense training to get on a more advanced level , Danielle commuted to Manhattan for two consecutive summers attending Ballet Hispanico learning dance stylings in Ballet, Pointe, Horton, Flamenco, and Mexican Folk Dance. That prepared her for high school where she trained at the prestigious and one of the most elite schools of dance, Alvin Ailey. While at Ailey from 1999-2003, Danielle received aggressive dance training in Ballet, Graham, Horton, Jazz, West African, Pointe, Limon, Dunham and in her senior year Popping. Outside of school, Danielle took additional classes in African at Larocque Bey and Hip-Hop, Street Jazz and House at Broadway Dance Center. In 2003 at the age of 17, Danielle booked her first professional job with Beyonce but that wouldn’t be her last. Danielle is best known for being the leading lady in Omarion’s video ‘Touch’ and in 2008 for portraying the role of Missy Serrano in the hit movie ‘Step Up 2 The Streets’. Polanco has an impressive resume; she has choreographed for Beyonce, Janet Jackson, Jennifer Lopez, Usher, Chris Brown, Eve and Estelle. She has also appeared as a dancer in over 20 music videos with top artists such as Lady Gaga, Beyonce, Janet, Usher, Jennifer Lopez, Chris Brown, Neyo, LL Cool J, Nelly, Amerie and Kat Deluna. Wanting a change from the music industry, she got the opportunity from Writer/Director Arthur Laurents to perform in the smash hit revival of ‘West Side Story’ on Broadway, in which she played the role of Consuela. Getting to sing, dance and act in one of the best musicals of all tine was definitely a highlight of her career. Aside from her professional career, Danielle is known to be one of the top Underground female dancers of this era. 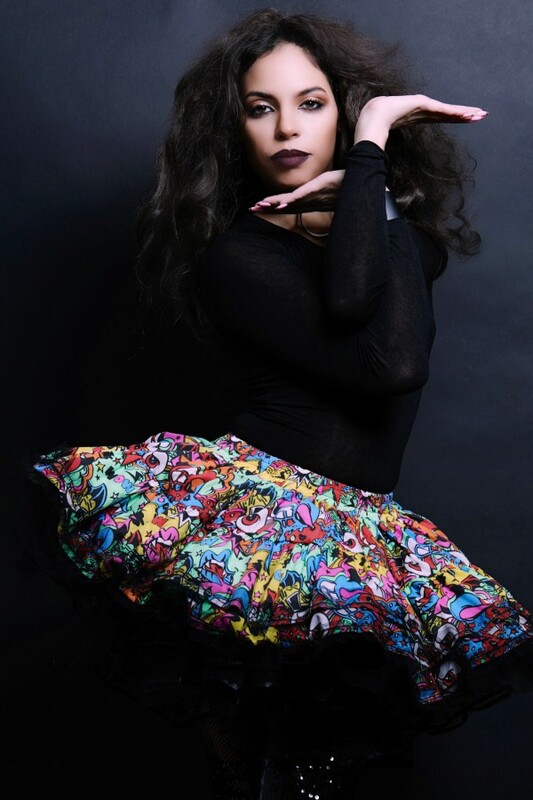 In 2003 she was introduced to the underground Ballroom scene where she started voguing and the underground hip-hop and house scene. Since then she’s been the top female voguer of her time inspiring a whole new generation, especially females, to move with more femininity. She now teaches the true art of vogue and other styles all over the world. Danielle always knew she had a gift but if it wasn’t for family support , the brilliant guidance from her teachers in school, to her friends in the clubs, she would not have found the uncompromising secret of her talent and artistic expression.